160 pages | 1 B/W Illus. At this western corner of the confluence of the Bay of Bengal and the busy river Hooghly, West Bengal in eastern India lies a geography that has hosted many outsiders – traders, merchants, colonial masters, missionaries and wanderers. 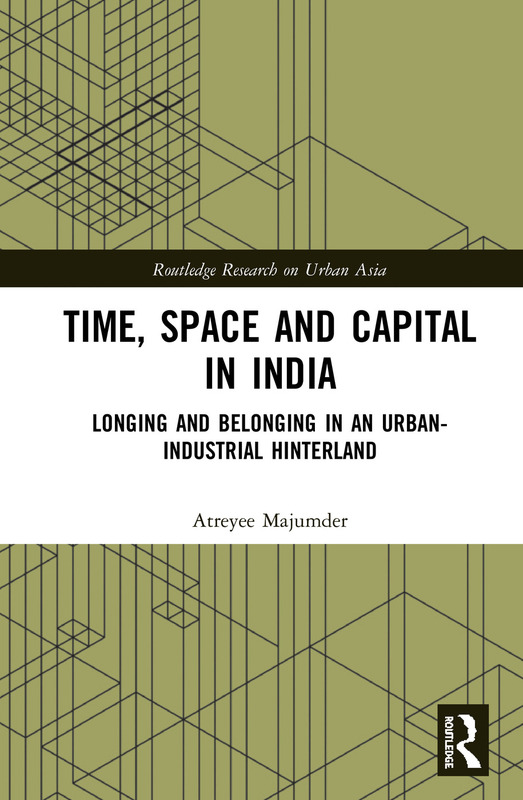 This book is fundamentally concerned with the relations among the theoretical categories of time, space and capital in India and shows registers of temporality and spatiality generated by historical phases of interaction with industrial capital. Based on extensive ethnographic fieldwork in Howrah, the author examines the form of urbanism that is not linked to the city-form of spatial organization, a "hinterland urbanism". The book brings out the theoretical implications by showing the relations among time, space and capital. Through a series of encounters and interceptions with a number of voices arising, the book sheds light on the issue and identifies the state of an ethnographer who is ensconced in the field – in wonder, conceit and sometimes physical discomfort. This book is, thus, an exploration of such historical layering of space by forces of time and speed afforded by the logics of capital, through limited acts of witnessing of production and access of historical sensation. An invitation to scholars and students of cultural anthropology to consider the question of scale in the making of ethical, political, and aesthetic selves, this book is an intervention in political anthropology that connects aesthetics, desire, and emotion to political imagination and action. The book makes a significant contribution in anthropology of space, urban anthropology and anthropology of capital as well as urban studies. Atreyee Majumder is Andrew W. Mellon Fellow at the Jackman Humanities Institute, University of Toronto, Canada. Routledge Research on Urban Asia publishes high quality, original scholarship on cities and urban areas in Asia The series welcomes research on the individual countries of Asia as well as comparative work from new and established scholars across the world. Themes include city cultures, urban policy and planning, megacities, urbanisation processes, sustainability, migrations and mobility, development patterns, civil society, politics and power, urban history, representations of the city, climate change, housing, gentrification and ghettoisation, social stratification and disaster risk. Welcoming research from a wide range of disciplines, this series will be of interest to scholars of Asian Studies, Urban Studies, Sociology, Politics, Geography, Cultural Studies, History, Economics and Development Studies.